When you want to take power, call the SAS. A right-wing billionaire is standing for Parliament. He enlists the help of ex-SAS soldier, Gabriel Wolfe. Gabriel left the Army after a covert mission went disastrously wrong and has sworn never to cause another man's death. It quickly becomes clear that Sir Toby Maitland's ambitions extend far beyond a seat as an MP. 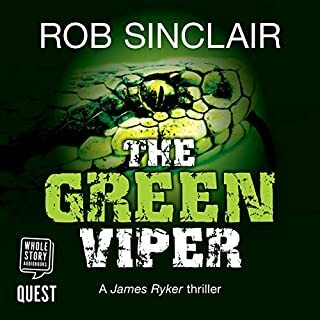 When an ex-contact in Swedish Special Forces, now working for MI5, contacts Gabriel, he realises he has little choice but to try to stop his employer. Detective Inspector Stella Cole was a rising star in London’s Metropolitan Police. Then a hit-and-run driver killed her husband, Richard, a human rights lawyer. Grief drove her to booze and pills. Back at work after a year’s compassionate leave, Stella secretly re-investigates his death and begins to suspect a cover-up. Freelance journalist Vicky Riley was working with Richard to expose corruption buried deep inside the legal system. Unaware that powerful people are out to stop her, she contacts Stella. John Milton hasn't seen Elijah Warriner for three years. The last time they met, Milton's efforts to keep the boy safe didn't go exactly to plan. Now Elijah is a promising boxer, preparing for the bout that will take him to the big time. Milton decides that he will spend the week before Christmas in London so that he can watch the fight. But Elijah's burgeoning fame has brought him to the attention of old acquaintances with long memories and grudges to bear. 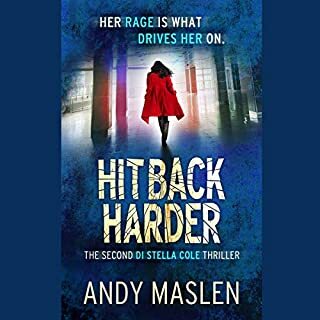 Detective Inspector Stella Cole has only one case: to find - and kill - the remaining members of a legal conspiracy who turned her world into ashes. But their leader, Adam Collier, is her boss. And he’s pulling in friends from the underworld to take the fight to Stella. Chief among them an Albanian drug lord nicknamed The Shark. Regrouping in Spain, Stella makes contact with an old adversary. A retired gangster named Ronnie “The Razor” Wilks. He proposes a deal that tests Stella’s resolve to the limit. Smuggled to the Middle East as a child. Trained as one of the most elite insurgents of his generation. Forced to do things no one should, for a cause he couldn't believe in. But as his brothers were preparing to kill, he was looking for a way out. Now, on the eve of the deadliest coordinated attacks the world has ever seen, he'll finally get his chance. He will break free and hunt down those who made him a monster. He must draw on all his training to survive. 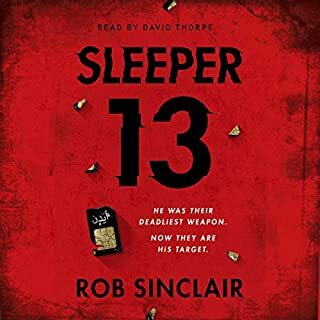 He is Sleeper 13. Best narrator in the world! Friendships forged in the heat of combat can be stronger than anything. 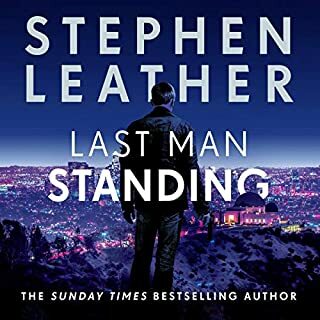 So when SAS trooper Matt Standing is told that the former Navy SEAL who saved his life is in trouble, he doesn't hesitate to go to his aid - even if that means flying halfway around the world to Los Angeles. Navy SEAL-turned-bodyguard Bobby-Ray Barnes has been accused of killing the man he was supposed to be protecting. Three other bodyguards were also killed, and now Bobby-Ray is on the run. The dead client was a Russian oligarch with connections to the Kremlin. Like My Old Leather Jacket! John Dempsey's life - as an elite Tier One Navy SEAL named Jack Kemper - is over. 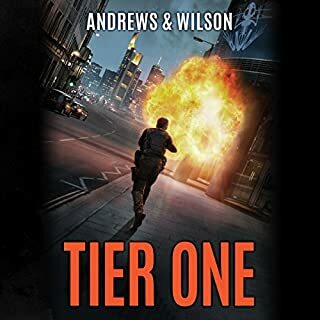 A devastating terrorist action catapults him from a world of moral certainty and decisive orders into the shadowy realm of espionage, where ambiguity is the only rule. His new mission: hunt down those responsible for the greatest tragedy in the history of the US Special Ops and bring them to justice. Same Skill Set - New Rules! In the winter of 1996, on the orders of the British government, the SAS stole the contents of a safe belonging to the Provisional IRA. Rick Fuller headed that team. Days later Fuller's wife was brutally murdered. Convinced he was betrayed from within, Fuller begins a relentless search for her murderers. 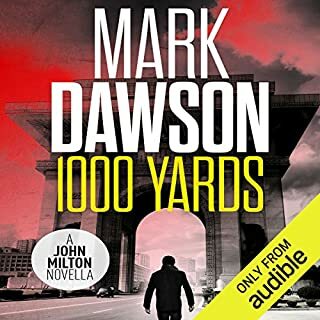 Ten years on, Fuller is a Manchester gangland enforcer, a lone and bitter figure. He dedicated most of his life to the Joint Intelligence Agency. Now, James Ryker wants to start afresh. 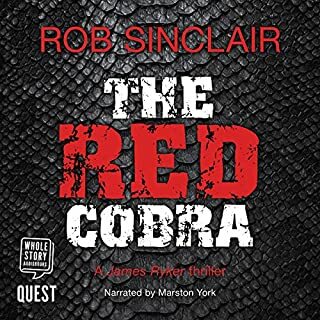 However, he soon hears about the murder of a woman whose fingerprints match those of a former adversary who's been missing, presumed dead...an assassin known as the Red Cobra. But Ryker confirms a case of mistaken identity. Who is the dead woman? And where is the real Red Cobra? Aydin Torkal - aka Sleeper 13 - is on the run. 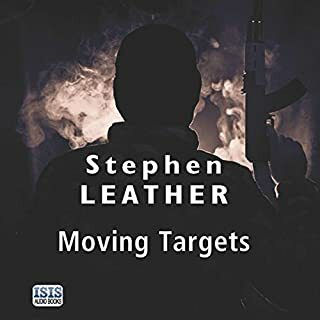 Hunted not only by the world's intelligence agencies but also by the elite brotherhood of insurgents he betrayed, he has lived the past year like a ghost. Until now. MI6 agent Rachel Cox knows Aydin better than anyone. The only person who believes he is an ally in the ongoing war on terror, not the enemy. So when a coded message arrives from him, warning her not to trust her own colleagues, Rachel must choose between her career and the truth. On his last combat deployment, Lt. Cmdr. James Reece's entire team was killed in an ambush that also claimed the lives of the aircrew sent in to rescue them. 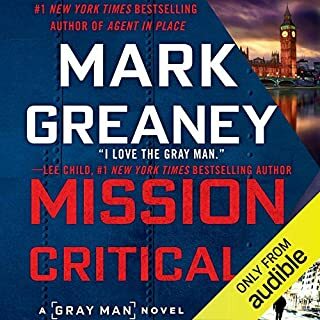 But when those dearest to him are murdered on the day of his homecoming, Reece discovers that this was not an act of war by a foreign enemy but a conspiracy that runs to the highest levels of government. 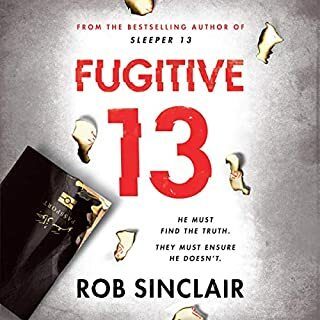 Now, with no family and free from the military's command structure, Reece applies the lessons that he's learned in over a decade of constant warfare toward revenge. ‘I need your help. 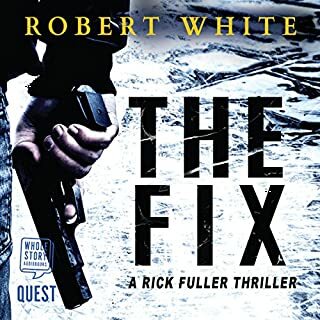 Call me.’ Ex-intelligence agent James Ryker receives a coded message through a secret drop point, a means of communication known only to him and one other person. The problem is, that person is his ex-boss...and he’s already dead. But the cry for help is real, and it’s a request Ryker can’t refuse. 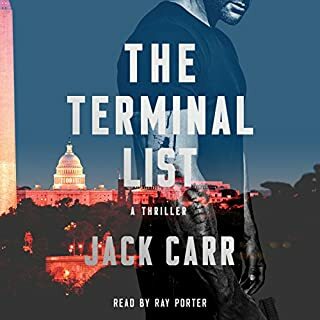 Travelling to New York alone and without official sanction, Ryker has a single goal in mind, yet even he couldn’t have bargained for the violent world he’s soon embroiled in. 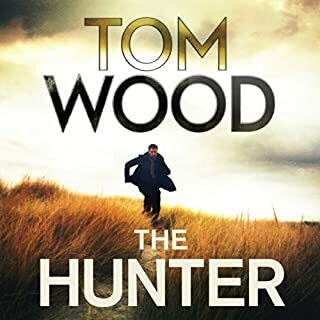 When Gabriel Wolfe, a government assassin afflicted by PTSD, travels to Africa to recover the body of a former SAS comrade, he has the backing of the British prime minister. 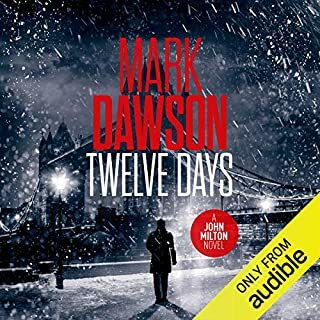 But every favor comes at a price, and now Gabriel has to complete another hit before he can continue his search for salvation. What he discovers next shakes his faith in everything he trusts. He has marched headlong into the heart of a corrupt web of land deals, blood diamonds, and the global arms trade. At the center of the web sits someone Gabriel can hardly believe is guilty. Someone he’ll need every ounce of his skills and resolve to defeat. 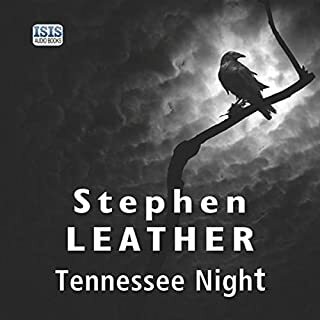 Standing between him and the truth are tooled-up mercenaries, a local warlord, his machete-wielding Rock and Roll Boys, and a mysterious assassin who anticipates his every move. 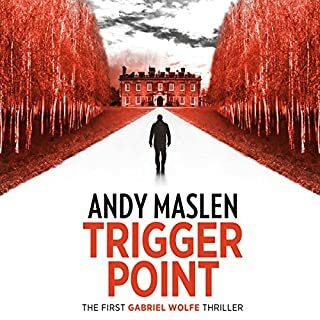 This complex and breathtaking action thriller is the fourth novel in Andy Maslen’s Gabriel Wolfe series. 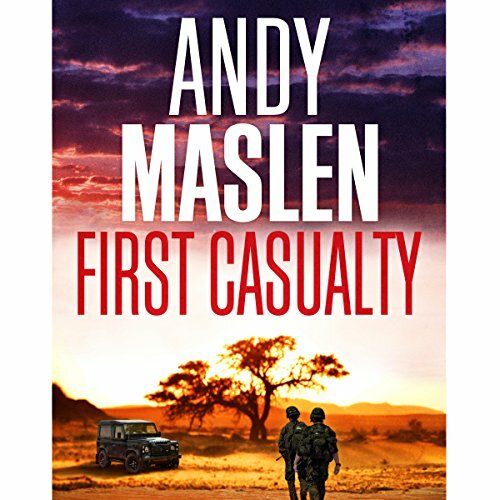 First Casualty begins in the middle of a firefight in Africa, where Gabriel and his partner, Britta Falskog, are facing a crew of bloodthirsty militia fighters commanded by the terrifying Mama Chissano. The action moves between London, Mozambique, Zimbabwe, and Hong Kong and never lets up. 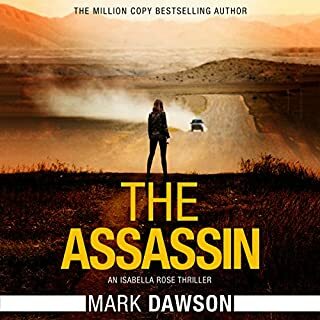 As he begins to uncover the truth, Gabriel sees that his adversaries have spun a web of betrayal that stretches right back to his last, fateful mission in the SAS. 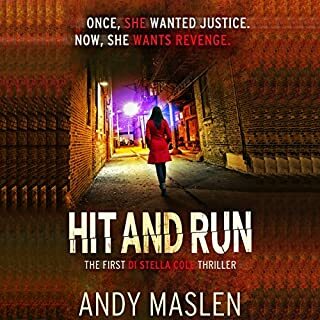 Fans of Andy McNab, Chris Ryan, Lee Child, and Daniel Silva are saluting Maslen as an author to watch. If you like your heroes flawed as well as resourceful, you’ll love Gabriel Wolfe. He’s been called "deadlier than Bond" and "more human than Reacher."